In the last Google webmaster office hours, John Mueller talked about the best practices for site moves and the length of time to keep a 301 redirect in place for. But he also addressed cases where site moves have to be done where redirects cannot be done for whatever reason. For many reasons, when you do a site move, ideally you keep 301 redirects in place from the old site’s URLs to the new ones for a long period of time. This means ranking signals, including from any links to those old pages, get transferred to the new URLs on the new domain. Set up correctly, this means that those new pages should rank for the same keywords the old ones did. There are situations where that isn’t an option… such as a domain expiring that someone else purchases or perhaps a case where a domain name has to be given up for legal reasons – all instances where it is very unlikely that the new domain holder will want to properly redirect those old URLs to the new ones on the new site. 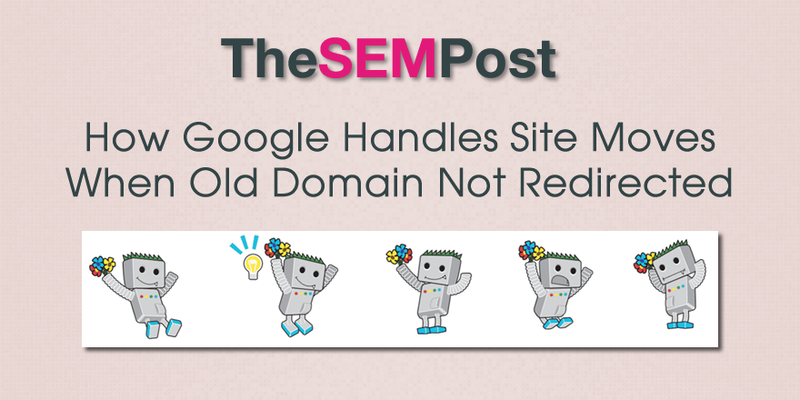 While some things can be done to try and preserve some of the ranking signals, such as asking sites with links to update those links to the new domain, it is usually pretty difficult. So how does Google handle site moves where 301 redirects cannot be placed on the old site? Not surprisingly, it doesn’t handle it as well as those site owners would hope. Ideally you would have this at least a year, sometimes you can’t control that at all, sometimes there’s legal situations where you say I can’t put anything on my old domain, I can’t put a redirect up there, and that’s life. You can’t fix that, right. So from our point of view what would happen then is that we would probably drop the old domain and treat the new domain like a new site, like a separate site, so that’s kind of the extreme situation, obviously you as someone who is running that business knows that area a bit and can probably get things sorted a lot faster than if you were really starting from scratch, but it’s still a lot of work. Mueller doesn’t mention other issues that can happen, such as duplicate content as Google discovers the identical content on a new site. But if the site is removed or taken offline, that particular issue can eventually resolve itself. So Google will treat it as a new site you build up from scratch. Not ideal, but it does show why 301 redirects are vitally important in a site migration.